Lots of Gmail Notification apps are available on the internet, but Gmail’s built-in desktop notifications are one of the best and easy to. To activate these notification on your Gmail inbox you don’t have to install any third party app. But here is the catch, to use this notification system on your Gmail inbox you have to use Google Chrome browser to login your Gmail account. If you don’t already have Chrome installed, you can download the latest build of Google chrome browser here. As we mention above to get alerts of new message on your you don.t need any application, all you have to use chrome browser. So let start how to get the Gmail new message alert on Windows Desktop without using any application. Step 1. Login to your Gmail Account from the Google Chrome Browser. Step 2. 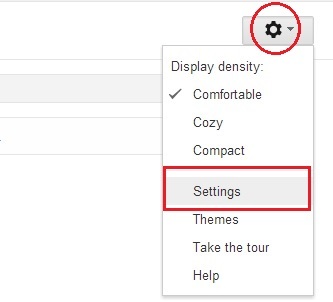 Now you are on the inbox page, click the little gear icon in the top-right corner of the screen, then select “Settings”. Step 3. Now you are on the settings general page, scroll down until your find the Desktop Notifications section. Now from the Desktop Notifications click the button next to the “New mail notifications on”. Step 4. After this click the “Save Changes” button from the page. 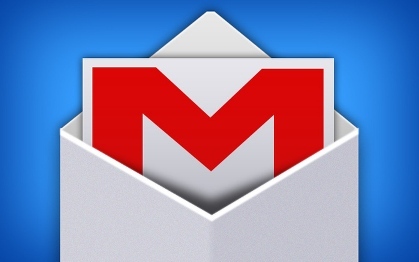 Now you are ready to receive new Gmail alerts on your Desktop. Now every time when you received the new mail on your inbox, you can see the new pop up window on your desktop. NOTE: Remember that you’ll need to have your Gmail account open on chrome browser to get the alerts on your Desktop. If you are Firefox or Internet explorer user, then you have to download Gmail notifier for Windows or Mac and install it on your system.